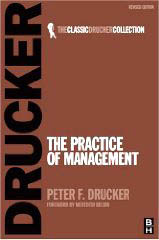 Management By Objectives (MBO), was first introduced by Peter Drucker in 1954 in his book, The Practice of Management. By 1960s and 1970s, MBO became the no 1 buzzword of management practices and some form of a panacea for management ills. Most importantly, MBO has, for the first time, introduced significant changes to the command-control top down management system practiced at that time. Not that the Command & Control company system did not have any goals and objectives. It did. Whatever the period of origin, all companies and organizations had goals and even managed processes so that they achieved them. However, MBO framework had managed to slot the goal setting through ‘direction’ for the organization by developing an organizational role and mission statement, specific objectives and action plans for each member in a participative decision making style. Further, MBO established key results and/or performance standards for each objective with periodic measurement/assessment of the status or outcome of the goals and objectives. In setting Goals, MBO adheres to SMART (Specific, Measurable, Achievable, Realistic and Time related) methodology so that the goals are valid. Nevertheless, today the MBO framework has undergone significant changes from its original ‘driver of change’ outlook to a ‘goal setting and a performance appraisal system’ and then the most recent adaptation being the ‘project management framework’. Heinz Weighrich and Harold Koonz define MBO as “a comprehensive managerial system that integrates many key managerial activities in a systematic manner, consciously directed towards the effective and efficient achievement of organizational and individual objectives.” And by its general outlook, MBO is a system aimed at achieving objectives of the organization, facilitating employee participation and making them more committed to the organization. It emphasizes clarity and balancing of organizational objectives and the participation of managers and subordinates with accountability for results. Originally, MBO was born as a ‘driver of change’ and ‘enabler of corporate mission.’ Hence before explaining what I feel about the concept, it is important to briefly clarify what changes were brought by the MBO process to the then existing command control system. In the command-control top down management system, organizational objectives are set by the top management and ‘handed down’ for activities/functional silos to achieve them. There was no consultation with the employees in the formulation of objectives. The objectives were often broad, general and organization-wise, rather than silos based. At times they specify an explicit time period (for goal achievement) but no “agreed system of feedback” back to the top management was seen. MBO changed this practice by introducing participatory objective setting by both the employee and the employer through the concept “Cascading Organizational Goals and Objectives.” Goals and objectives were set on all levels -strategic, tactical and operational- specifically. These collated objectives were a result of individual organization-wide member objectives where specific goals for each member has been identified with the input and agreement of each member. An explicit time period is also agreed upon to achieve the set objectives. The process is not complete unless feedback and evaluation is performed so that in the next wave, the process is improved and made more realistic. In setting Goals, MBO adheres to SMART (Specific, Measurable, Achievable, Realistic and Time related) methodology so that the goals are valid. In the command control organizational structure however, SMART was not methodologically applied. Since its introduction in 1954, MBO concept has come a long way- from its original ‘driver of change’ outlook to a ‘goal setting and a performance appraisal system’ and then the most recent adaptation being the ‘project management framework’. For the following reasons, I believe that the MBO needs rethinking for it to survive (as the original MBO version rather than ‘project management’ etc) in today’s demanding and competitive business environment. All Purpose Outlook : Due to lack of a coherent and singular definition on MBO, wide confusion prevails as to the real meaning of the framework. Performance Appraisal Douglas McGregor, proponent of Theory X and Theory Y, advanced MBO to a performance planning and appraisal system (HBR-1957), criticizing existing performance appraisal systems at that time. He suggested that subordinates should set short term objectives with the superiors based on MBO and when evaluation comes, they should be evaluated against their own agreed goals. After McGregor’s suggestions, MBO gained wider recognition also as a ‘performance evaluation and appraisal system’. However, MBO is NOT a performance evaluation system. It’s focused on participatory objective setting at all three levels, and then at the individual level so that the organization is in continuous equilibrium with the competitive environment. MBO concept therefore aims to facilitate the overall managerial direction and control of the organization but NOT to act as an employee evaluation process per se. Thus, the performance appraisal aspect of MBO has been over-ranked and over emphasized to the extent that MBO is identified as a “performance appraisal” method with inclusion of such terms as ‘MBO-KPI’s, ‘MBO-matrices’ etc. In fact, the latest trend being “performance management” touted as the successor of MBO, which demonstrates the extent of MBO transformation from its original purpose. What is more important is that MBO itself is now fading in significance as a performance appraisal concept. In a 2005 Australian research study, it was found that the popularity of MBO has dramatically declined by almost ten-fold and MBO is seen as a more ‘traditional’ performance appraisal system. Short term focus Goal setting is an important factor in motivating employees. To this end, MBO’s short term focus could be beneficial in employee motivation. However, if there is no back-up plans to continuously motivate the employees after the MBO loop is closed with ‘feedback’, the employee respect for the concept and the MBO system within the organization declines. In other words, MBO stands to lose its effectiveness if its solely designed for short ranged focus forgetting it as a ‘driver of change’. Thereafter, in the absence of a new cycle of an MBO, employees could become demoralized and begin to slack. However, this is prevented if MBO is set up for a long term focus, which is not how it’s applied since managers tend to get focused on the short term. However much the external environment becomes competitive, however much the short term flexibility is rewarding for an organization, it still needs to have focus on the long term (at least for the next 5 year period). Perception as a top-down command-and-control system MBO is a bottom up team based planning system, rather than a top down command control methodology. The members starting from operational level/first line contribute in goal setting. Nevertheless, in practice of MBO has become the prisoner of command control system of management. The key reason is that the executive anxiety of losing managerial powers. Therefore, the at the implementation levels, the MBO champions should ensure that functional silos within the organization should be given training on how MBO is actually implemented and that it is not a threat to their managerial power/status or the functions per se. The training should focus on how to integrate targets at the line level towards tactical and strategic planning. Target Fatigue Since MBO focuses ‘so much’ on objectives and goal setting, it has become mired in ‘targets’ resulting in ‘target fatigue’ for members, especially in production and manufacturing sectors. However, as mentioned earlier, MBO is, in essence, a driver of organizational change and not a mere goal-setting apparatus. Even in the above mentioned Volvo cars study, target fatigue of organizational members was reported as a negative outcome of MBO implementation. 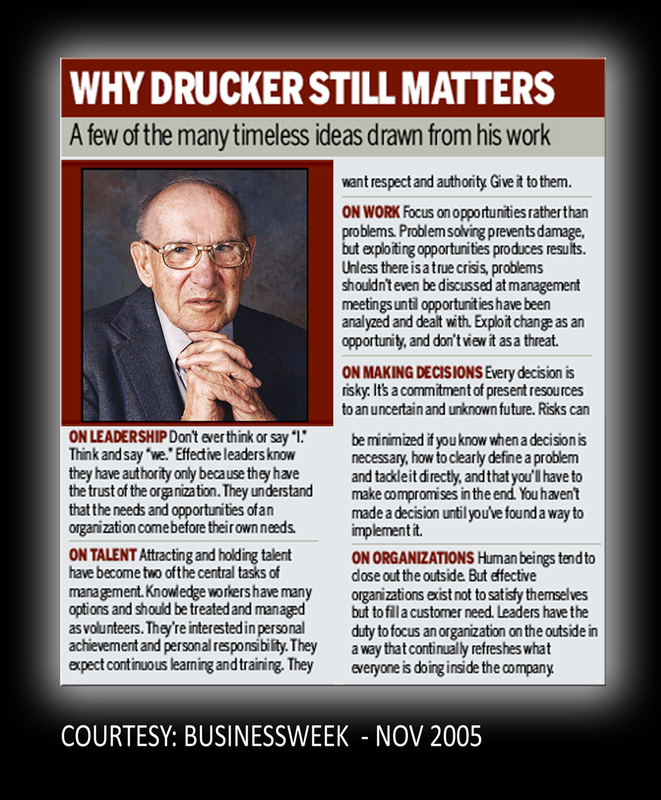 (Except the Businessweek Graphic, Copyright by Joseph Thavaraja – www.ejoseph.org – 2008 September). Compton, R. (2005). Performance Management: Panacea or Corporate Outcast?, Research and Practice in Human Resource Management, 13(1), 46-54 (The study was undertaken jointly by the School of Management at Curtin University of Technology (CUT), the Australian Catholic University (NSW) and the Australian Human Resources Institute (AHRI), and was conducted by means of an e-survey posted on the AHRI website in mid 2003).